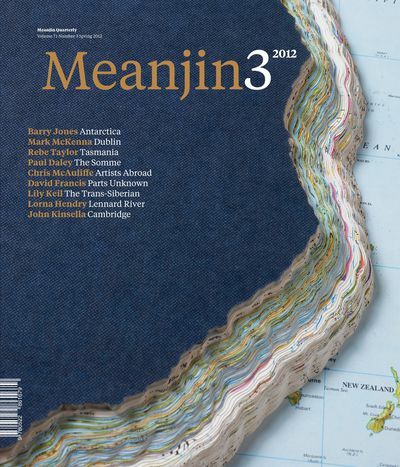 Australia's oldest and most distinguished literary journal. 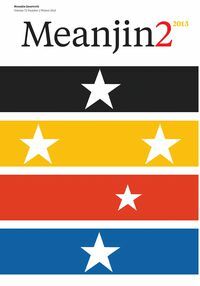 With the September edition of Meanjin we welcome Spring at last, and with a new season we take you to new places, show you new perspectives and consider new solutions to old problems. 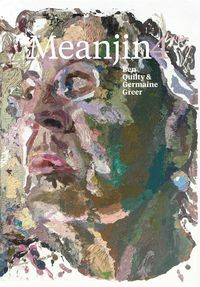 Under the revived Meanjin Papers masthead we feature Patrick McCaughey who takes a second look at the wildly diverse Australian art of the 1960s, we bring you Rebe Taylor on the vexed and painful question of Truganini's status as the 'last' Indigenous Tasmanian, while Helen Ennis writes on the life and startlingly beautiful work of Australian Photographer Olive Cotton. Paul Daley visits the battlefields of the Somme and wonders how best to deal with the enduring human remains left by war. 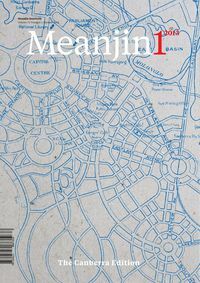 Back home, Ben Eltham reports on the troubling disconnect between funding the Arts and funding Arts infrastructure, Chris McAuliffe writes on the end of cultural cringe while James Bradley has a ghostly encounter in the night time. We bring you a stunning gallery from photographer Lucy Parakhina and new memoir from Lorna Hendry, Lily Keil and John Kinsella. 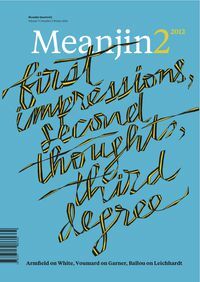 There is new fiction from David Francis, Mark Welker, Michele Freeman, Lex Hall and Marion Halligan, as well as poetry from Eileen Chong, Craig Billingham, Mark Mordue and much, much more.